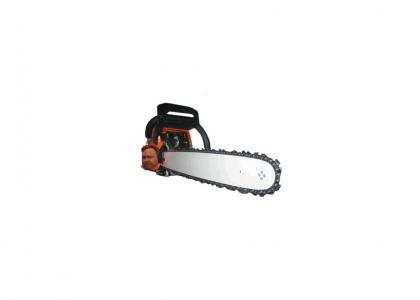 Alex Jones is a chainsaw! And, n*gg*, I ain't got time for this sh*t.
Really awful use of directional motion blur. I could have animated the teeth but that takes time. Proof that paranoid schizophrenics can be successful in society. The conspirasaw would have to cut through a Jew World Order, boring through the hollow earth's crust, into the secret cities, and decapitating the leader of the Crab People and/or Reptilians for this to be an endorsement. When he yells like that it sounds like a chainsaw to me. This is pretty sweet but Alex Jones is a retard. He's back! Now for a limited time with your purchase of Tile� Site Downvoter. It's funny, but where's the sound from? If it's awesome, you get a 5. If I like Alex Jones, how do I rate this? You don't rate it, you stab yourself through the chest for being a tinfoil hat retard. You're right kacen, all the fans of Jones are retards. The media always tells the truth. Iraq had WMD's. There is nothing fishy about 9/11 at all. It was 16 guys with box cutters (half are still alive but that makes sense too). Lets all go take the vacine now for something that has killed %400 less people than the seasonal flu. It's a national emergency you know. So I was wrong on one detail: The Infowars story you posted (which was lifted directly from FOX: http://whitehouse.blogs.foxnews.com/2009/10/08/first-daughters-not-vaccinated-against-h1n1/) is actually from the eighth of this month. The first family was vaccinated only yesterday, reported by the same news company that previously pointed out that they were ineligible for vaccination earlier. "You're right kacen, all the fans of Jones are retards." Glad to see we're on the same page. Just because our government lies to us doesn't mean there is a pyramid elite pulling the strings with an ulterior motive involving the creation of a one world government and the genocide of billions. Our government simply isn't coordinated and organized enough--corrupt and selfish maybe, but not competent. Congress can't decide on a bill for health care reform, We've never succeeded at colonial occupation for f*ck's sake. Also, millions take flu shots every year and we have yet to see a zombie outbreak. If anything the fact that a CIA office was in WTC7 just points to it not being an inside job since the CIA is one of the big bogeymen in all your conspiracy theories. http://www.debunking911.com/ Look through this site. The fact is that if you still believe the official story you either haven't done any real research on the subject or you read an article in popular mechanics and are incapable of doing any thinking for yourself. A number of government agents and people on the 911 commision have now stated that the investigation was a whitewash. If you do the research you will find way too many holes in the official story that make it absolutely ridiciulous. The debunkers wont touch these holes. Dismissal by omission. Seriously, Uncurcumcised, shut up. Your conspiracy theories are warped logic that make up just as much fact as you claim is made up for the public. You're buying into false facts. They're made up for people like you to buy and advertise. Stop being brainwashed. Yeah, I saw Zeitgeist too. I don't think you truthers understand how f*cking impossible it is to create a one world government empire successfully. It has been tried throughout history and it has always failed, and many of them had slaves, and vastly superior technology compared to the cultures/regions they conquered. Information travels too fast, and technology is too accessible in modern society for it to happen again. The British Empire, the largest empire in history, only controlled 1/4 of the population at its peak. Weak. Also I like how we went from a discussion over genocide and world conquest to 9/11. Worrying about the world trade center attacks at this point is so inconsequential compared to the bigger picture, according to what has been dictated from Alex Jones, anyway. It's like you've been programmed to bring up the same details every time someone challenges the logic of Alex Jones' theories, regardless of its content and focus. I don't even need to debate the specifics to know how ridiculous the conclusions are. Because I do my own research. I don't rely on a paranoid nutcase to feed me information no matter how good his intentions are. And by technology I mean munitions and telecommunications. We knew about the revolt in Afghanistan because of the internet. There was a media blackout caused by the government but information was still spread, because it was impossible to quarantine millions of cellphones. Also, have you seen anyone wielding swords lately? Even with government regulation the black market brings people competent weapons across the world. The general population has access to plenty of technology, and they have used it. Wednesday must be the slow day on YTMND. All the same, though, I've already printed and framed the screen shot of the front page. It's hanging above the space heater right now. It's been a slow day for about a year. you might get over 100 votes, big guy! that means you need to get the front page tattooed on your lower back. I have one with almost 1,000 votes. What do I do with that? I have seen too much of Alex Jones' sh*t without a sane opinion... thank you. AMBROSIA WAS AN INSIDE JOB. No vote because he actually sounds more like the referees from Mutant League Football. Finally someone reveals Alex Jones for what he truly is. A screaming idiot. I agree, Alex Jones is quite good with taking facts, and telling a story that completely ignores Occam's Razor. From the looks of it, you're quite good at buying into that alternative less useful explanation of the same facts as well. Whatever floats your boat. I just want to take this opportunity to call you a sheeple before you haul off and call me one. The end is coming, but if you can't have a sense of humor about it what is the point? I live in Austin and like alex jones, but I'm also aware that he's into selling gas masks as much as he's into saving the republic. He would have you living under a rock shaking with fear if you couldn't temper it with some sort of humor. And since I like to hear myself rattle on... Folks get on board with saving the world, but hesitate constantly to do anything about the people and things close to them. Getting excited about taking down the global conspiracy is like getting excited about the lottery. It's a fantasy. Take small steps and do something useful for your neighbor. But that doesn't sell. F*ck me gently with Alex Jones. I knew there was going to be a comment like this. +4 for Really awful use of directional motion blur. That's about all that guys good for chainsaw noises he should stick with that.